OPTIMA BLUETOP®, REDTOP®, and YELLOWTOP® batteries are built to meet the heavy power demands of modern vehicles. 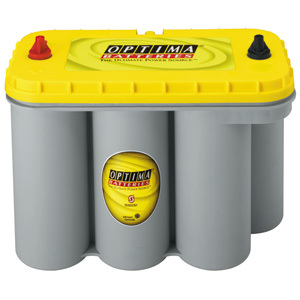 The Spirallcell Technology and advanced AGM design offer high levels of resistance to vibration, superior starting power, faster recharge, and high votage characteristics during discharge, in addition to easy, flexible installation and low maintenance use. 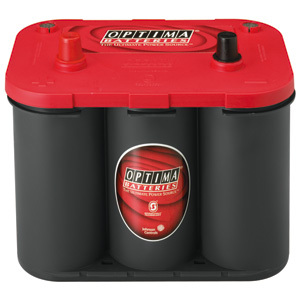 OPTIMA batteries are available in a variety of sizes and capacities. Call for pricing!